The Beniko Manicure Table includes two, 36 watt UV gel lights that cure gel and nail polish. Each Beniko Manicure Table includes a beautiful marble table top of the color of your choice. The high-quality marble top helps give your salon a more luxurious look. Choose from either White or Dark Marble. 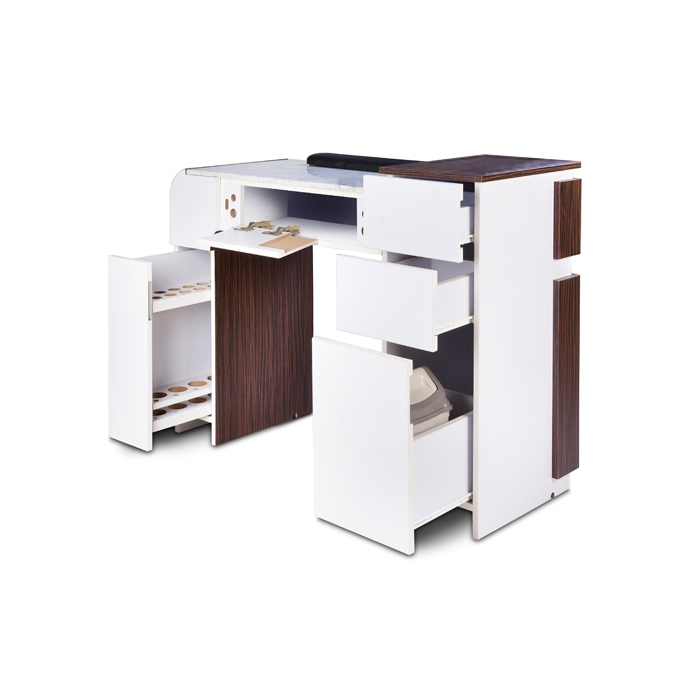 Give your salon a unique style and flair with the beautiful Beniko Manicure Table. 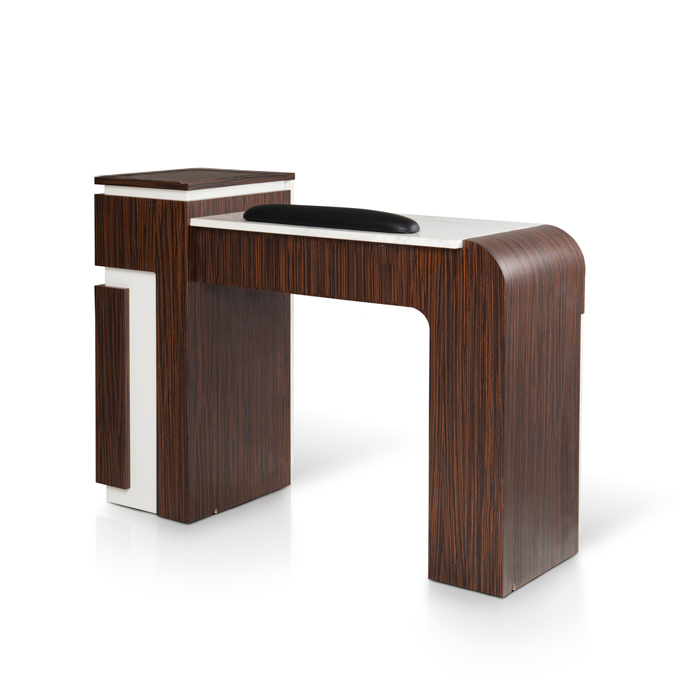 This modern manicure table features a sleek, duo-tone color design with your choice of white or dark marble table top. The Beniko is handcrafted by our expert carpenters with quality wood components. For quality assurance, each Beniko is designed and assemled here in the USA.